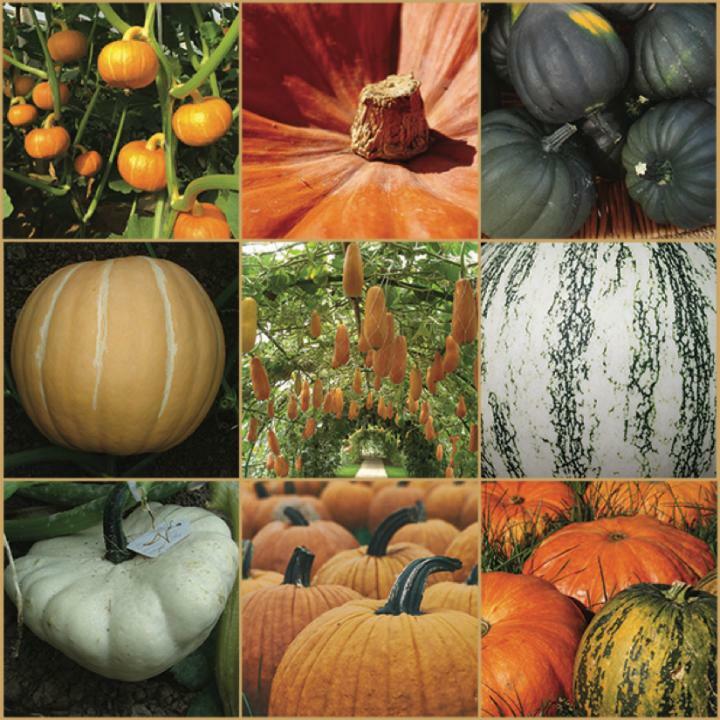 In a timely fashion for all those jack-o’-lantern carving parties and contests, investigators at the Boyce Thompson Institute (BTI) within Cornell University and the National Engineering Research Center for Vegetables in Beijing have sequenced the genomes of two important pumpkin species, Cucurbita maxima and Cucurbita moschata. Findings from the new study—published recently in Molecular Plant in an article entitled “Karyotype Stability and Unbiased Fractionation in the Paleo-Allotetraploid Cucurbita Genomes”—will help researchers understand the nutritional value and disease resistance of these important plants. 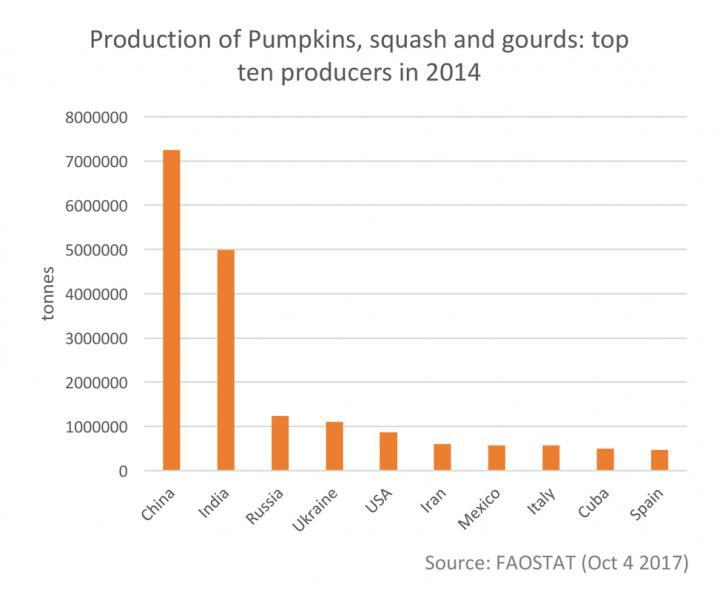 “Pumpkins are used as a staple food in many developing countries and are cultivated all over the world for their culinary and ornamental uses,” explained co-senior study investigator Zhangjun Fei, Ph.D., associate professor at BTI and an adjunct associate professor of plant pathology at Cornell. The researchers sequenced the two different pumpkin species to understand better their contrasting desirable traits: Cucurbita moschata is known for its resistance to disease and other stresses, such as extreme temperatures, while C. maxima is better known for its fruit quality and nutrition. Interestingly, the hybrid of these two species, called Shintosa has even greater stress tolerance than C. moschata and is often used as a rootstock for other cucurbit crops, such as watermelon, cucumber, and melon. Growers will cut the pumpkin seedling from its roots and fuse the stems of other cucurbits onto it, giving them strong, resistant roots. By analyzing the genomes, researchers will be able to identify many genes associated with the pumpkin's desirable traits and better understand the genetics behind the extreme phenotypes of the Shintosa hybrid. “The high-quality pumpkin genome sequences will lead to more efficient dissection of the genetics underlying important agronomic traits, thus accelerating the breeding process for pumpkin improvement,” Dr. Fei noted. For farmers this could potentially lead to faster breeding for resistance to diseases such as fusarium wilt or powdery mildew, that white film many gardeners might find killing their squash leaves or enhancing production of carotenoids—the orange pigments associated with eye health, among other benefits. While assembling and analyzing the genome sequences, the research team found an interesting evolutionary history for Cucurbita species. Cucurbits have large genomes with 20 pairs of chromosomes, compared to watermelon's 11 or cucumber's 7. 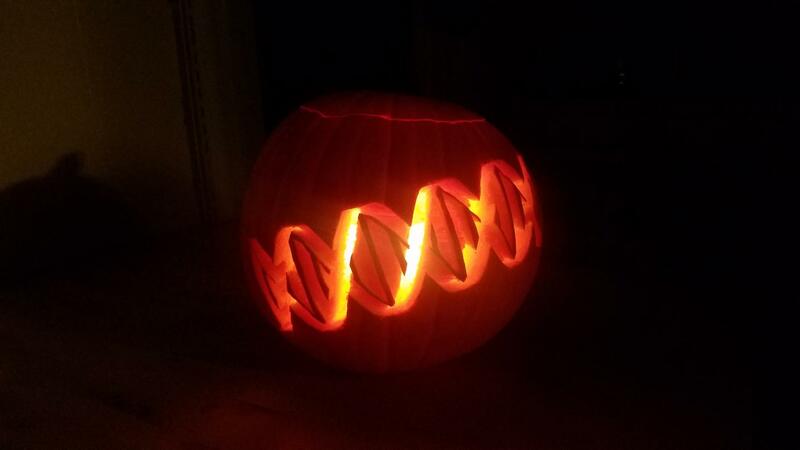 This was the first clue that the pumpkin's genome had expanded a long time ago. By comparing the Cucurbita genome sequences to those of other cucurbits, the researchers discovered that the pumpkin genome is actually a combination of two ancient genomes, making it a paleotetraploid. While pumpkin species today are all diploid, the genome sequence analysis revealed that between 3 and 20 million years ago, two different ancestral species combined their genomes to create an allotetraploid—a new species with four (tetra-) copies of each chromosome, from two different (allo-) species. Typically, after an allotetraploid is formed, the genome will experience downsizing and gene loss, eventually transforming the new species back into a diploid. Sometimes, one of the contributing genomes will dominate over the others to retain more genes, a phenomenon observed in maize and cotton. However, for pumpkins, this was not the case. The ancient Cucurbita allotetraploid lost its duplicated genes randomly from both of the contributing diploids. Moreover, the ancestral chromosome remained largely intact, leaving the modern pumpkin with two subgenomes representing the ancient species that contributed to the paleotetraploid. 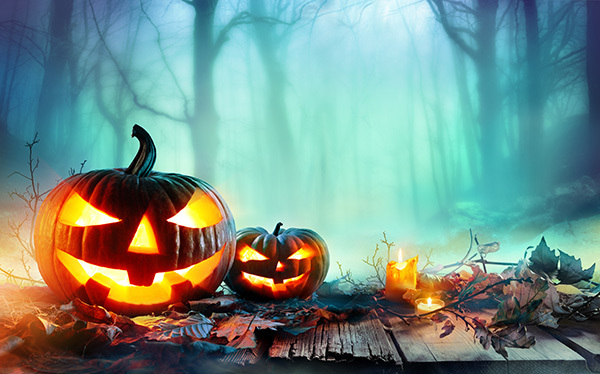 “We were excited to find out that the current two subgenomes in pumpkin largely maintain the chromosome structures of the two progenitors, despite sharing the same nucleus for at least three million years,” concluded lead study investigator Shan Wu, Ph.D., a postdoc at BTI.